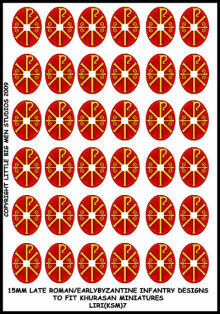 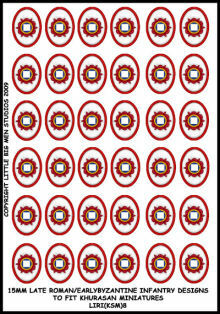 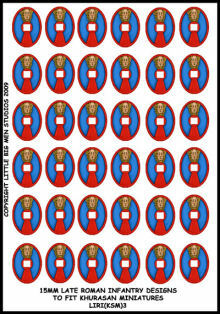 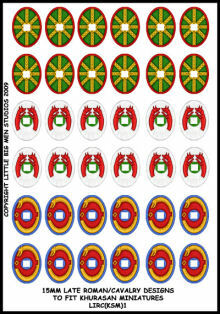 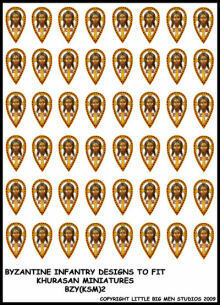 Detail of Little Big Men Transfers for Late Roman or Romano-British Infantry. 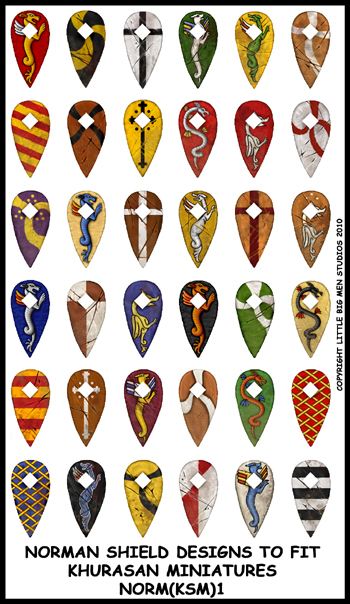 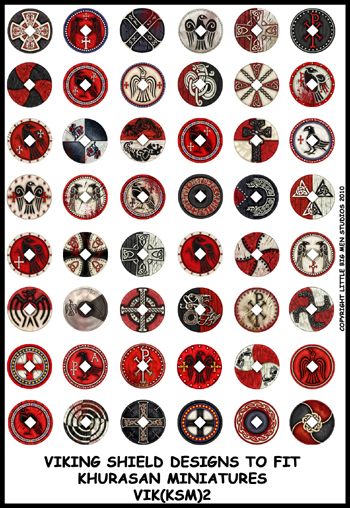 Little Big Men Studios creates gorgeous rub-on transfers to make your shields brilliant without the excruciating process of painting elaborate patterns and possibly having to do precisely the same thing again and again ... and again. 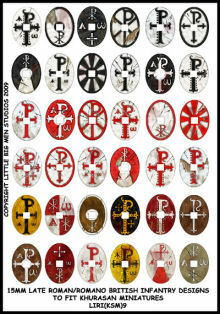 Better, unlike many of the decals that are available, they have a "painted" look so that they don't clash with your painted models. After a little practice (which is highly recommended), I had no problem applying them. 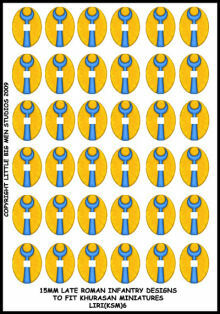 Images below are greatly reduced not just in size, but also in resolution. 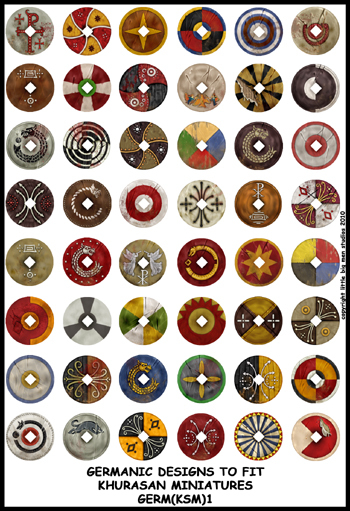 It's a bit of work getting them on, but painting them to anywhere near such a standard would be a life's work, if possible at all! 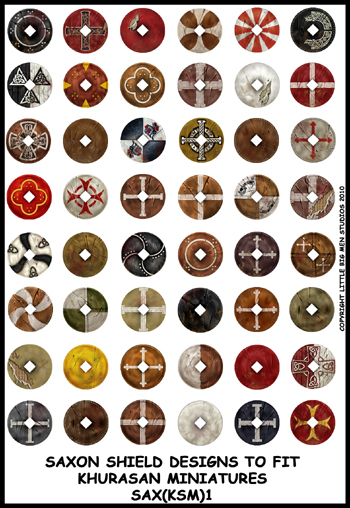 Also, like anything else in life, the truly worthwhile things take a little practice, so set aside some time to get used to working with them, don't try to apply them to a unit expecting to get it perfect on the first go. 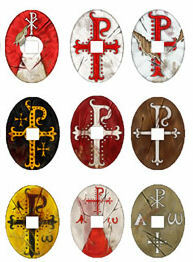 They will truly make your models come alive. 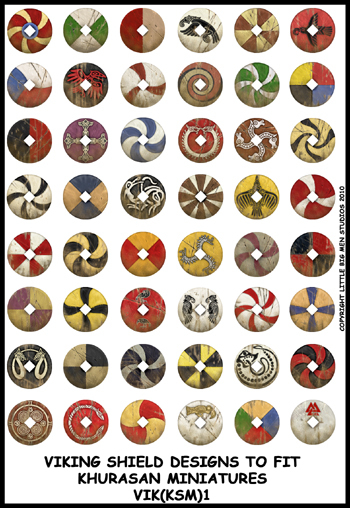 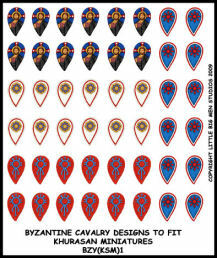 BYZ1 Nikeforian Byzantine Cavalry Designs $5.29 Being remade for new shield shapes!